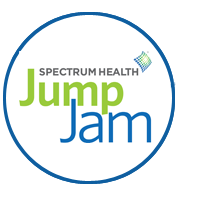 Spectrum Health Jump Jam is a no-entry fee jump rope competition for 3 – 5 grade students in the Greater Grand Rapids area. Spectrum Health has partnered with public and charter school districts in Grand Rapids, Kentwood and Wyoming to offer this opportunity to compete. Each school will designate a coach and times for practice 1-2 hours per week over the course of 8 weeks. The students will have up to 6 categories from which they can choose to compete. Jump Jam has the goal of promoting health and wellness to meet the mission of Spectrum Health, which is to improve the health of the communities we serve. Jump Jam will bring all of the students together under one roof to compete for the title of Jump Jam Champion of 2018! There will be prizes, giveaways for spectators, and a good time for all who attend the no-entry-fee event that will be open to the public. Principal Bridget Cheney, of of Congress Elementary, shares the impact of Jump Jam on one of her students at the Student Advancement Foundation luncheon in the Fall 2014. Jump Jam is a no-fee jump rope competition geared towards promoting health & wellness to children in the Godfrey-Lee, Godwin, Grand Rapids, Kelloggsville, Kentwood and Wyoming Parks Public Schools, which meets the mission of Spectrum Health to improve the health of the communities we serve.